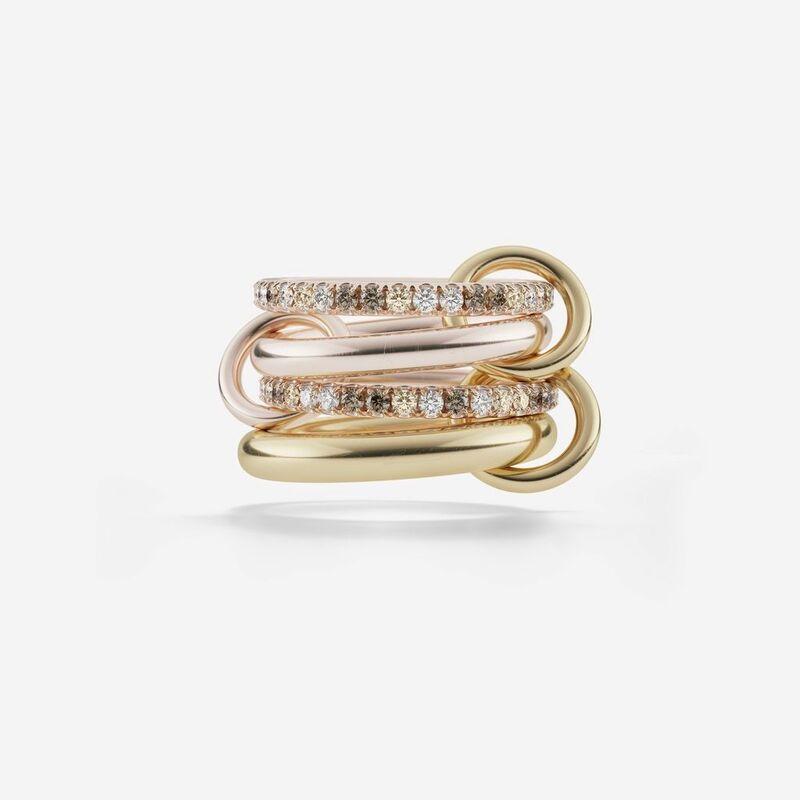 The Cancer is comprised of four linked rings of 18k rose gold and 18k yellow gold, some of which are set with full cut micro pavé white, cognac, and champagne diamonds, all joined by three connectors: one of 18k rose gold and two of 18k yellow gold. 5 bands- 18k rose gold and 18k yellow gold Diamonds- micro pavé full cut white, cognac, and champagne diamonds (approx. 1.6 tcw) Connectors- 18k rose gold and 18k yellow gold Spinelli Kilcollin uses only conflict-free diamonds.